Ferrer is an international privately-held pharmaceutical company, with headquarters in Barcelona and a presence in more than 90 countries. Ferrer contributes to people’s health and quality of life through the pharmaceutical, health, fine chemicals and food sectors. Ferrer’s mission is to advance the wellbeing of society. Founded in 1959, Ferrer has been committed to innovation from the beginning. Its activities are to discover, research and develop medicines, diagnostics, vaccines, fine chemicals, food and feed. This commitment, put into practice every day across our R&D centres in Spain and abroad, has been recognised with the highest possible rating by the Spanish government's Profarma assessment system. For Ferrer, innovation is collaborative and the company is proactive in establishing strategic alliances with hospitals, biotech companies, public research bodies, academic institutions and other pharmaceutical companies all over the world. Only by building partnerships, sharing the knowhow and exploring synergies can scientific research advance and meet the increasing challenges involved in developing new treatments. 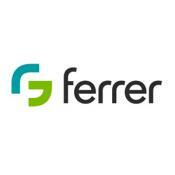 Across Ferrer’s many R&D facilities, the expertise encompasses the discovery and development of active medicinal substances, diagnostics, new pharmaceutical forms, drug re-profiling, cell therapy, personalized medicine, new therapeutic targets, vaccines, galenic formulations, food and feed additives and optimized industrial processes. The process of internationalization, which began in the early 70s, has taken Ferrer from being one of the leading Spanish pharmaceutical companies to having an important international presence. Now, through a network of affiliates, joint ventures and partnerships, the company’s products can be purchased from San Francisco to Seoul and from Berlin to Buenos Aires. Internationalization in Ferrer has gone hand in hand with diversification across the whole healthcare spectrum. Prescription drugs, hospital equipment, molecular diagnostics, vaccines, over-the-counter remedies, dermocosmetics, nutritional supplements: Ferrer offers a wide range of products meeting the highest scientific standards. Ferrer also boasts a solid industrial structure. The certified manufacturing centres across four continents produce chemicals and finished pharmaceuticals to the most rigorous standards, both for its own products and for other companies. In other words, Ferrer is a fully integrated company, from research and development, through manufacturing to sales and distribution. In SECURE, Ferrer will mainly be responsible for providing Trinomia® medication. Fabiana d’Aniello, PhD, Trinomia® Project Director. PhD in Chemistry by University Louis Pasteur, France, Management Development Program (PDD) from IESE Business School, Spain and Project Management Professional by Project Management Institute, USA. Highly experienced drug development, project and portfolio management professional within the pharmaceutical sector. More than 18 years' experience in drug research, development & innovation from early phase through commercialization and life cycle management. Cross functional management of research, development, manufacturing, business and marketing areas. Author of more than 40 scientific publications. N. Oudovenko, Clinical Research Manager. Degree in biophysics and biology by the Kiev State University (Ukraine) and certificate in Clinical Trials Monitoring by the Barcelona Physicians College. Later on she obtained a MSc in Design and Analysis of Clinical Investigations and undergone several specialization courses related to different areas in Clinical Research. She started her professional career as a Clinical Research Associate at Otsuka Frankfurt Research Institute and since 2009 works as a Clinical Research Manager at Ferrer Internacional S. A.